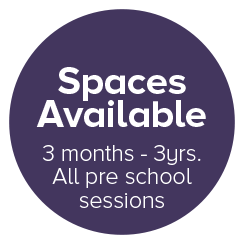 Newbury Gardens Day Nursery is a private run nursery, available for full and part time places. We are open from the hours of 8 a.m until 6 pm, 5 days a week. Newbury Gardens Day Nursery creates a healthy, happy environment for your children to learn to explore and grow. We support this process with policies that have been put in place to support and protect your children whilst they are in our care. Children are encouraged to learn, interact and develop in a caring environment. We assess them daily and respond to their individual needs. We provide a secure and pleasant environment for every child to develop and thrive. We aim to make every child feel happy and safe. We provide fresh healthy balanced 2 course meals daily. Snacks consist of chopped fruit and vegetables. Our staff are experienced and fully committed to making your child feel safe and at home in a happy caring environment. We have policies in place for all areas and aspects of our nursery. All of which are available for parents to see.